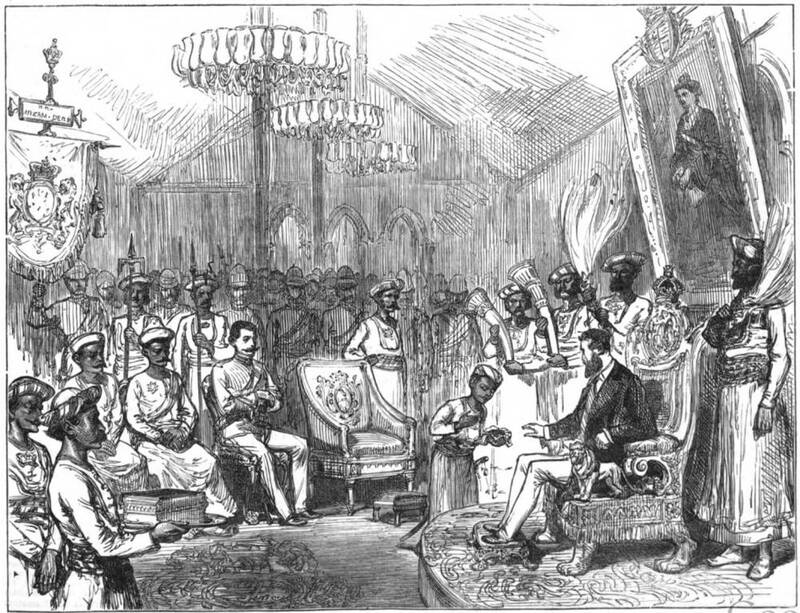 The Imperial Assembly at Delhi: The Nizam of Hyderbar presenting his “Nuzzur”. Artist: Lieutenant C. Pulley, of the 3rd Ghoorkahs. Source: Internet Archive web version of The Illustrated London News (10 February 1877): 137. Click on image to enlarge it.